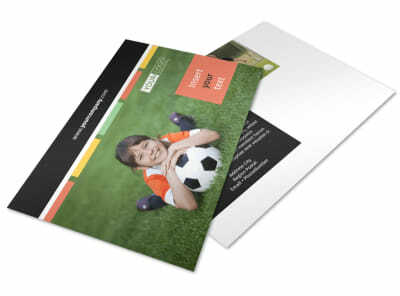 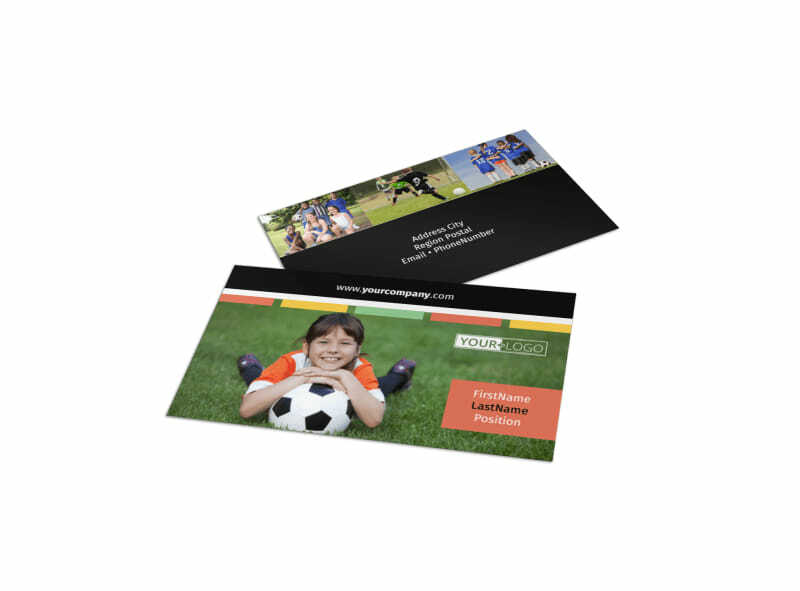 Customize our Soccer Camp Business Card Template and more! 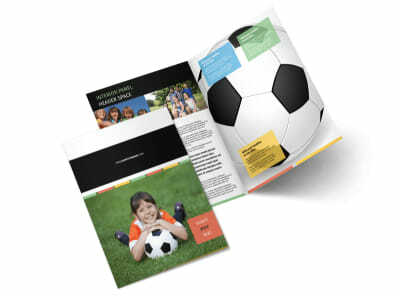 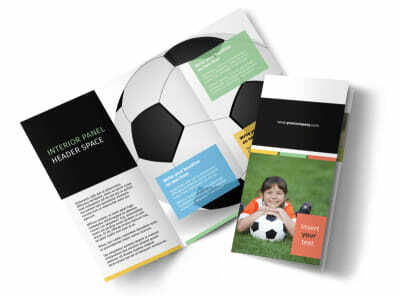 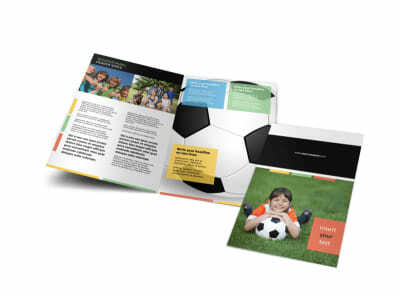 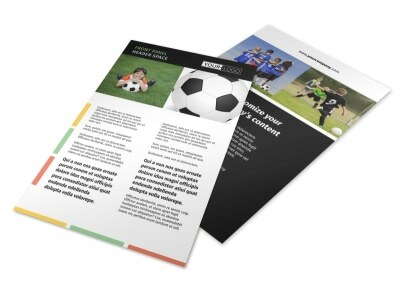 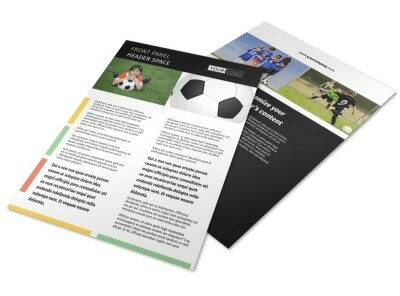 Enable parents to easily contact you with any questions or concerns they might have about enrolling their soccer-star children into your training program with soccer camp business cards. 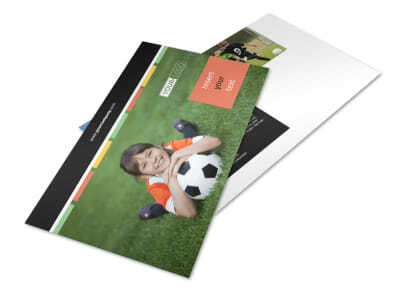 Use our online editor to customize a template with your name and contact info, and modify the design elements such as color theme and images to represent the sport you serve. 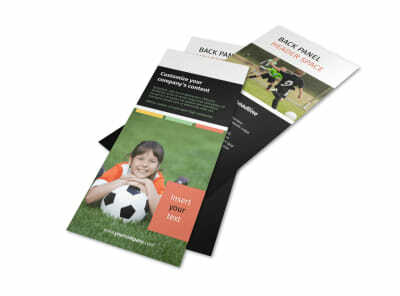 Start designing now.